LOVELY LAKE VIEW HOME WITH OPEN FLOOR PLAN. 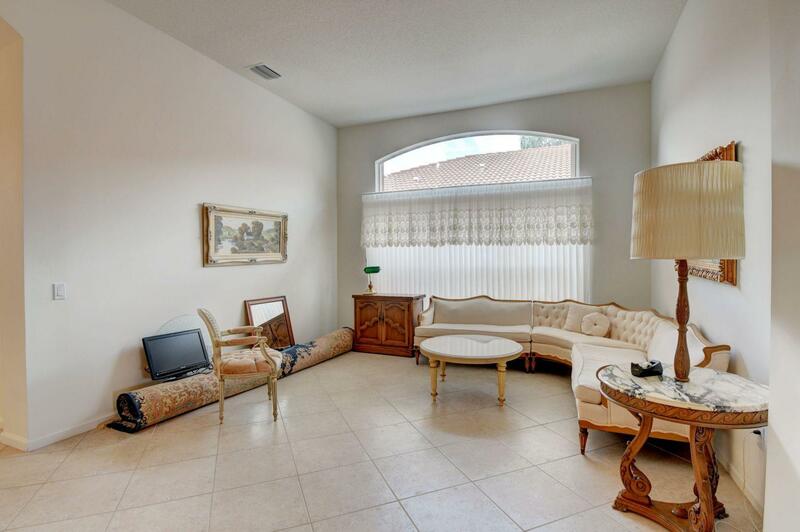 TILED FLOORING IN LIVING AREAS AND BRAND NEW CARPETING IN ALL BEDROOMS. FRESHLY PAINTED, BRAND NEW A/C! GRANITE COUNTERS IN KITCHEN, CASUAL DINING AREA ND FORMAL DINING. KITCHEN OPENS TO FAMILY AREA. MASTER HAS BEAUTIFUL LAKE VIEW AS WELL. TWO LARGE CLOSETS, SEPARATE SHOWER AND SOAKING TUB, DOUBLY VANITY. SCREENED PATIO, NEUTRAL COLORS. COMMUNITY HAS CLUBHOUSE, FITNESS ROOM, POOL, SPA, TENNIS, PICKLEBALL, BASKETBALL COURTS, POOLSIDE CAFE, THEATER AND MORE!